The following is a list of some of the styles I specialize in performing and the concepts I prioritize in teaching. While I'm certainly not limited to this list, these are subjects I feel set me apart from many other bass instructors, online or otherwise. For any additional questions, feel free to contact me directly. For the past five years, my performance career has primarily focused on Cuban Timba. 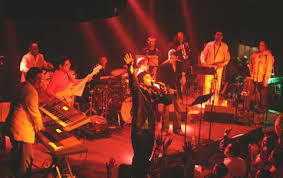 I have performed with many of the top Timba performers in the New York Cuban music scene including Gerardo Contino, Ivan Llanes, Axel Laugart, Keisel Jimenez and many others. In addition to my real-world experience with the genre, I have held multiple lectures and seminars on the style at universities across New York State as well as online. I feel extremely fortunate to be able to participate in this wonderful genre in such an extensive way, something few outsiders have been able to do. For that reason I am especially passionate about sharing the knowledge I've acquired with others. In my pursuit of learning Timba, I quickly realized the importance of learning where it came from in the first place. That personal epiphany lead me to delve into the beautiful world of traditional Cuban music. The study of Son, Danzón, Changüi and other genres in Cuban tradition have greatly enhanced my musical pallet in ways I couldn't have imagined when I first embarked on learning Latin music. Transcription is the most effective method to learn music that I am aware of. Personally, I owe almost all of my tangible musical growth to the time and effort I've put into transcription and vocabulary utilization. However, I've noticed many students find the process to be daunting or intimidating, mainly due to a lack of an organized method of getting from "point A to point B". As a result, many either give up soon after starting or never even attempt transcription in the first place. Over the years, I have developed an organized method of transcription that will help any student learn even the most intimidating repertoire and vocabulary thoroughly and easily. Much like transcription, the notion of learning to play in odd meters is often considered intimidating to many musicians. As I was raised listening to the sounds of Frank Zappa, Jethro Tull, Kansas and much of the progressive rock and fusion of the 70's, odd meters have been a sound I've heard my entire life. As my interest in world music grew and expanded, I was drawn to the music of Turkey, the Balkans, India, Venezuela and many other cultures that use odd time signatures in their respective folklore. Over the years, odd meters have played a huge part in my development and as a player and composer. I have developed simple and effective ways to integrate them into my daily practice routine and can easily help you do the same. Living and working as a musician in New York Latin music scene has exposed me to so much amazing music that was previously unknown to me. Although I originally moved here to play Timba, I quickly found myself surrounded by other forms of Latin Music including the beautiful folklore of Peru, Venezuela, Colombia and many other South American traditions. Over the course of my career I've been fortunate to play and record with some of the top Latin Jazz groups in both New York and Chicago including Chembo Corniel, Bobby Sanabria, Gabriela Anders, Nelson Riveros, Mike Freeman, Greg Diamond, Darwin Noguera's Evolution Quartet and the Chicago Afro-Latin Jazz Ensemble. It has allowed me to further evolve as a performer by merging my passion for world music traditions with my long-held identity as a jazz improvisor.